Värnamo Sängkläder AB is the founder of the brand Varnamo of Sweden and is a family business established 1951. 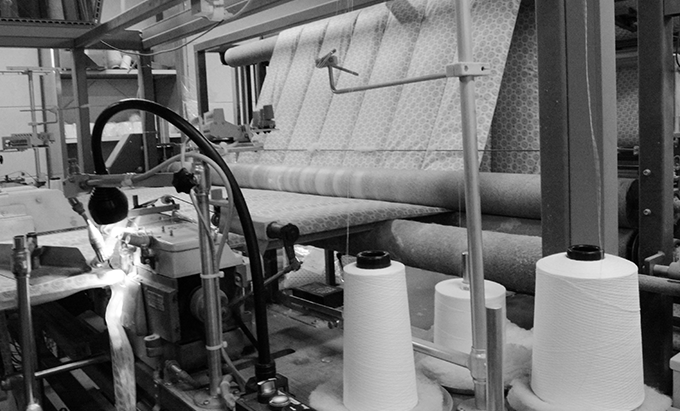 We are manufacturing bedding and decorative fabrics of the highest quality. See the product catalog with a selection of our products. A stylish piping, a simple overlock or a quilted version. We can do it all. With the help of our efficient quilting machines, we can come up with a quilt that fits you. A stylish ribbon edging or a simpler overlock. You decide. We manufacture standard mattress covers with a quilted diagonal box. Obviously we can adapt it to your needs. A stylish ribbon edging or a simple overlock. You decide. We have the possibility of both quilting and ring stitching. Everything according to your wishes. Our large sewing department can meet all your needs regarding sewing. Everything according to your wishes. With the help of our efficient quilting machines, we can come up with a quilt that fits you. A stylish ribbon edging or a simple overlock. You decide. Our large sewing department can meet all your needs regarding sewing.Everything according to your wishes. Värnamo Sängkläder AB is Sweden’s only manufacturer of pillows and duvets with manufacturing remaining in Sweden. 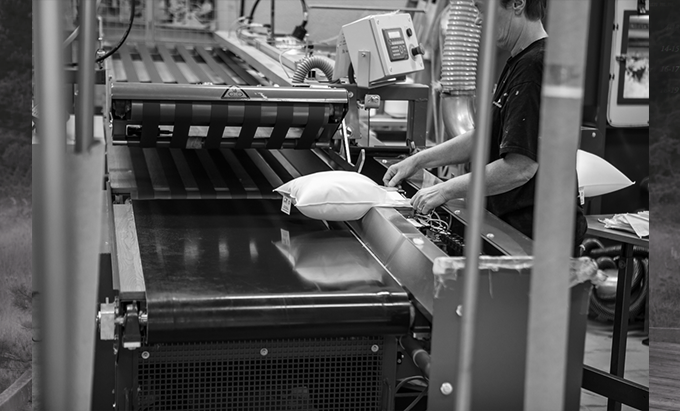 In our highly modern production facility at Värnamo (Sweden) we manufacture bed linen of the highest quality. We want to manufacture products that will last for decades and can therefore offer our customers a variety of products marked with the Oeko-Tex certificate. This Human Ecology eco-label guarantees that the goods are free from hazardous chemicals, which are especially good for those with allergies.